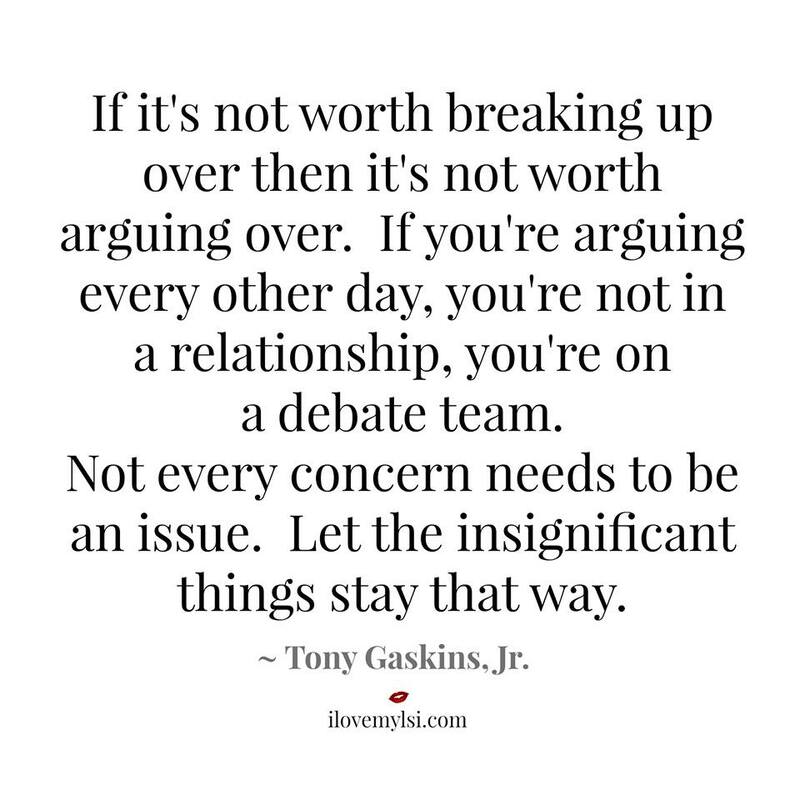 If it’s not worth breaking up over, then it’s not worth arguing over. If you’re arguing every other day, you’re not in a relationship, you’re on a debate team. Not every concern needs to be an issue. Let the insignificant things stay that way. Is He Your Superlove, or Just a Superdud? When you dont have trust in your partner it will never work and if he is trying and doing everything in his power to make u trust him what else can he do .but maybe one day she can find out the truth because she is the only women that he truly would do anything for and does not want to think about leaving life without her.